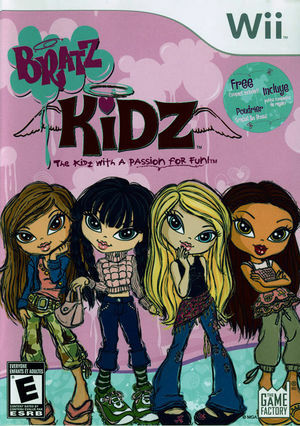 Designed for girls ages six and older, Bratz Kidz (Bratz-Kidz Party in Europe) features a collection of mini-games set in a slumber party environment. Up to four players can choose and customize any of their favorite Bratz Kidz characters and dress them up using a selection of 350 fashion accessories and clothing items. Players can utilize the intuitive motion controls of the Nintendo Wii system to browse the party photo album and complete missions that test their speed, endurance, reflexes and precision abilities. The graph below charts the compatibility with Bratz Kidz since Dolphin's 2.0 release, listing revisions only where a compatibility change occurred.